Threadlifts are the latest and hottest trend in the cosmetic surgery world because people are looking for instant results with little or no downtime. In about 30-60 minutes, threadlifts will elevate your facial skin and you will look instantly better without any scars. 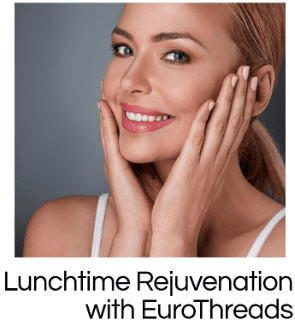 EuroThreads and NovaThreads are an FDA approved procedure using PDO absorbable sutures to lift, tighten, and smooth skin. Threadlifts are a non-surgical type of facelift that requires no cuts or incisions, instead relying on specially designed “threads” to lift, elevate, and support the skin. Threadlifts are quick, efficient, and much less costly than traditional facelift procedures. They are the most popular cosmetic procedure in Asia and Europe and interest is rapidly developing in the USA. The results are instant, improve with time, last years, and leave no scars! Well, it’s not an easy answer and it depends on many factors. One should ask themselves these questions: Do you want surgery? Do you want scars for life? Do you have 2-3 weeks recovery time? Do you want people to see you completely changed? If you answered NO to any of these, then you are a candidate for a Threads face lift. Threadlifts last about 1-2 years. 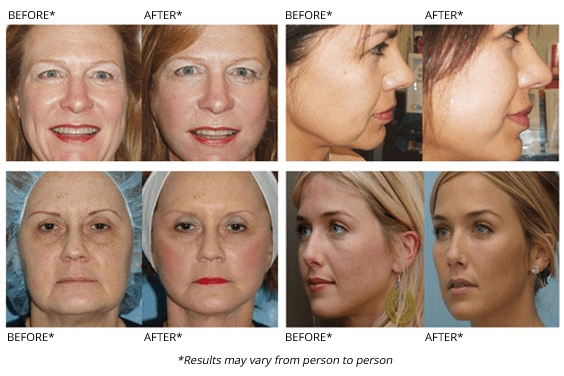 Surgical face lifts typically last 5-7 years. One of the main advantages of a Thread facelift is that you can always have it repeated 1-2 years later to easily maintain it. This is quite the opposite for a surgical facelift. Surgical facelifts result in significant scarring of your facial skin making a do-over nearly impossible. There is usually no social or professional downtime after a Threads procedure. Discomfort is minimal, and so you won’t need any addicting pain meds, or any antibiotics to upset your stomach. You might develop a bruise at the insertion sites, but these are easily covered with makeup. The threads that are used for threadlifts are designed with very small barbs that attach to the under surface of your skin. Once attached, we can elevate your sagging tissues to their younger, higher position, where they will stimulate your body to build a natural collagen framework. The threads act like a support structure for your own collagen production. Over time (approximately 6-8 months) the thread is eventually absorbed by your body, leaving behind your natural collagen structure. This framework will continue to provide continued skin support for another 6-8 months. The neck and jaw are particularly challenging areas to treat using other methods, which makes Threadlifts a good choice for these areas. The sutures act as support for subdermal tissues, helping to lift sagging or loose skin without cuts and scarring. The time required depends upon the area to be treated. Typically, it takes 15 minutes to properly clean and prepare your skin. The Threads procedure usually takes another 15-60 minutes, depending upon the area. The most common side effects are soreness and bruising. Very rarely does one have to think about infection or suture migration. Sometimes small skin ripples occur as your skin is lifted into its new position. These always go away without additional treatments as the Threads work their magic. At Impressions MedSpa we are very meticulous in preparing your skin and we use the highest standards in antiseptic techniques to minimize any side effects. Do I Need Filler Too? Dermal Fillers are another means of adding volume to areas that have lost it due to aging. While fillers work well at restoring volume, the pharmaceutical companies place hefty prices for very small quantities of their filler products. 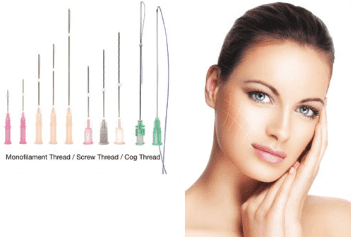 Using Threads can significantly decrease the costs, rather than using fillers alone. Occasionally we will recommend a combination of fillers and Threads to correct large volume losses. To learn more about Threads, Threadlifts, and our other facial procedures, or to find out if Threadlifts are right for you, call Impressions MedSpa to schedule a free consultation OR click the BOOK ONLINE button for immediate scheduling. Also, sign up for our Newsletter for Thread updates and specials. 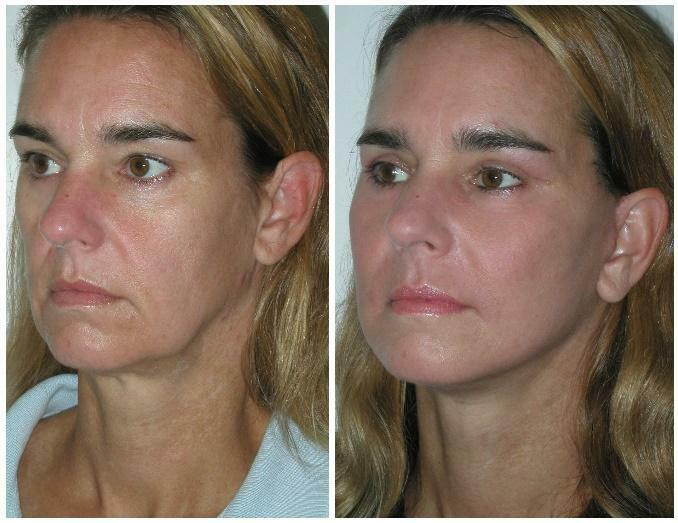 You will be pleasantly surprised how easy a Lunchtime Facelift is! With pricing starting at less than $300, it is very reasonable. We also offer special financing at below credit card rates.